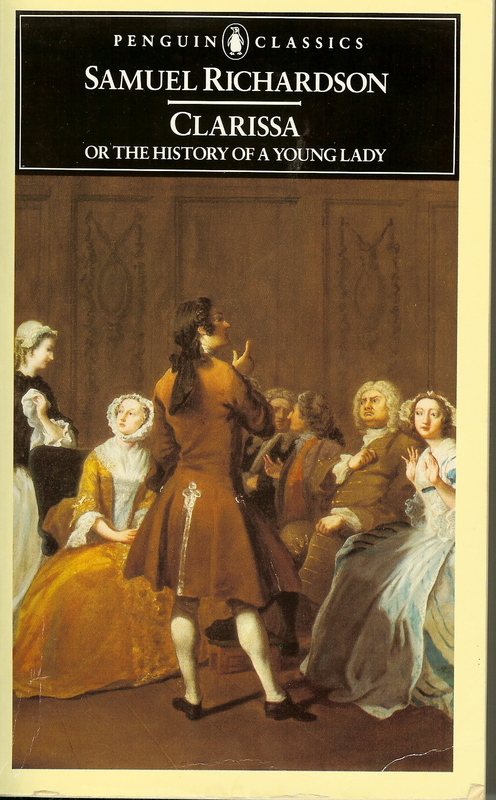 I made a promise to myself back in August 2010 to finally read Samuel Richardson’s Clarissa, this promise made after reading Laurel Ann’s Austenprose interview with Lynn Shepherd. 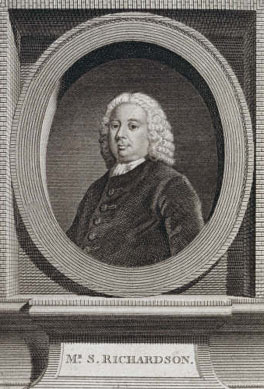 Shepherd is the author of the Austen-inspired mystery Murder at Mansfield Park, but also a Samuel Richardson scholar and author of Clarissa’s Painter: Portraiture, Illustration, and Representation in the Novels of Samuel Richardson (Oxford University Press, 2009]. When I told my gifting friend that I was finally going to read the thing – she wondered how I would be able to put it down and not read ahead – I told her I did not think that would be a problem in this case – and indeed it seems not to be so far! I welcome anyone else who would like to join me in this – there have been group reads of Clarissa on other listservs – I am not going to post about the book, just periodic updates of my reading progress. 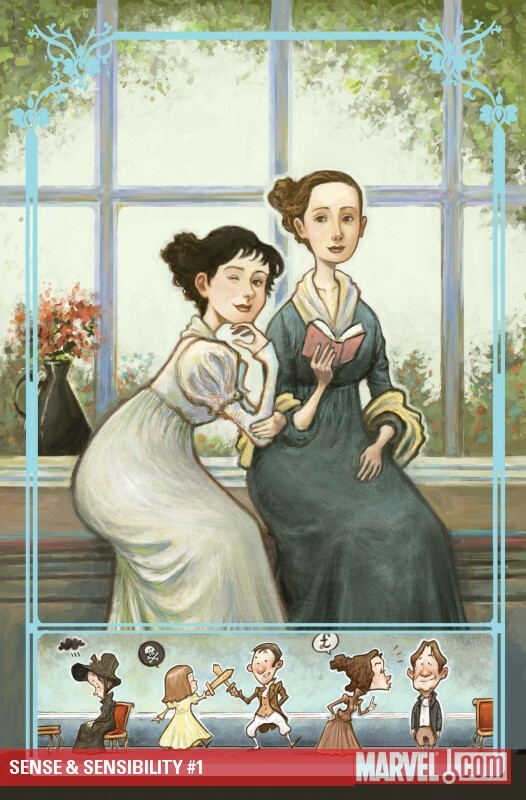 My only concern is I am already looking forlornly at Richardson’s other book on my shelf, Pamela, a much shorter and happier exercise in reading what Jane Austen read… – so wish me luck and join me if you can! Article on Richardson and Austen: “The Source of “dramatized consciousness”: Richardson, Austen, and Stylistic Influence ” by Joe Bray, Style, Spring, 2001. Spark Notes on Clarissa ! As I have been out of the loop the past few months and now trying to catch up, I will post several links of interest that I have been making notes of – some old news, some VERY old, some off topic but interesting none the less, and some worth repeating, but in the words of Jane herself, that since I noted these, three months have passed, so I “entreat you to bear in mind …. 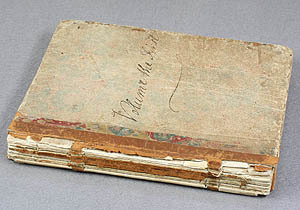 that during that period, places, manners, books and opinions have undergone considerable changes.” [Advertisement by the Authoress to Northanger Abbey]. see the Bodleian Library Centre for the Study of the Book for more information and photographs. 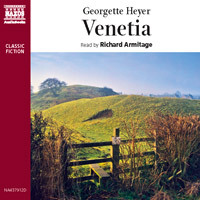 * Naxos Audiobooks will be releasing Georgette Heyer’s Venetia with the velvet sounds of Richard Armitage – alas! it is, like his previous outing on Sylvester, abridged, but certainly worth the listening – then buy the book and fill in the blanks! Release date in April, so watch for details – you can order the cd or download directly. Adapted in four parts for the Radio 4 Classic Serial by Hattie Naylor. 14th, 21st, 28th March and 4th April 2010 at 3pm – Radio 4. And repeated following Saturday at 9pm. * The company: Alison Steadman, Deborah Findlay, Miriam Margolyes, Oliver Milburn, John Rowe, Julian Rhind-Tutt, Adrian Scarborough, Stephen Critchlow, Cathy Sara, Sophie Thompson, Ellie Beaven, Lisa Hammond and Linda Broughton. “Clarissa” is directed by award-winning classic serial director Marilyn Imrie and is a Catherine Bailey production for BBC Radio 4. Click here for more information; click here for the podcast of the first two shows. Accessing Austen 2: What the Heck is Pelisse? Accessing Austen 3: Manners, Manners..